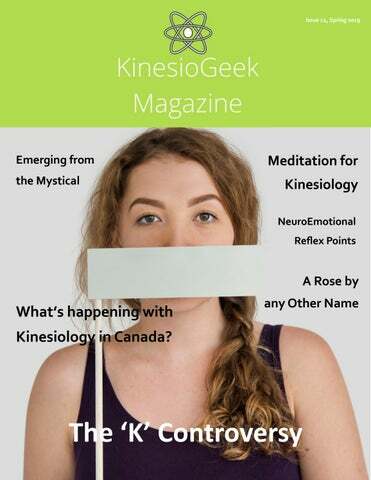 What’s happening with Kinesiology in Canada? hungry for useful knowledge. It does not really matter who invented what: if it is useful knowledge, I want it in my kinesiology practice. I want theory that is solid and that includes all the most recent research and ideas; I want a model through which I can interpret the reality and get to the core of the issues at hand; I want techniques that can help me solve my clients’ problems in a more efficient way. I searched in the kinesiology world and what I found was often disappointing. The same technique called different names; different schools that make me start over again because different systems do not complement with each other; the exact same concept referred to in many different ways; and good improvements that cannot be made public because of secrecy and competition. It is messy and challenging (and a waste of resources): I want the knowledge, but it is often impossible to know if a course or a technique is really what it looks like from the outside. When I began sharing these ideas in the kinesiology world, I just discovered I am not alone. Many people in kinesiology feel the same way: they want knowledge; they want integration; they want cooperation. They are ready to put their resources together so that scientific studies in kinesiology might become possible and bring this awesome methodology a step closer to the mainstream. I started to breathe deeply again: if so many people really want the change, a real change is possible! From anger and disappointment to belief… It is a very nice feeling! Now the challenge: how can I really make the difference to bring change closer? The answer came very easily: Knowlative is the answer. A single system where knowledge is at my fingertips. A system where I can add my information and watch it spread in the kinesiology community. A system that is going to link me with my peers in many different ways. Real change is possible. What are you waiting for? Editor/Publisher/Writer Proudly brought to you by and flawed dictator: Alexis contributing KinesioGeeks: Costello Alexis Costello (Editor/ Publisher / Flawed DictaContributors: tor) Alison Kingston Anne Jensen Jensen Anne Michelle Greenwell Debbie Rossi Natasha Polomski Linda Orr Easthouse Reenie Rose Robert Frost Ludovico Feletto Sylvia Marina Michelle Greenwell Cover image is a stock Robert Frost photo Sylvia Marina Opinions expressed by contributors and advertisers are their own. P. 21 Why Meditation for Kinesiology p. 25 Kinesiology Tools, Definitions and Cooperation P. 30 Kinesiology Cooperation p. 33 NeuroEmotional Reflex Points P. 38 Classifieds p. 39 Because Health should be Fun! This issue is a little different than the usual. Yes, it is still a celebration of all KinesioGeeky things related to muscle testing, but it is also a check in. Because it seems like our work or at least the definitions and word choices of that work are being called into question. While I am not on the Board of CanASK anymore, I was for many years, so the realization that the rights of practitioners in Canada to call themselves what they like, to post certificates from the IKC, to keep the name they have held for decades has been removed hits me hard. The association is resolving to deal with this in the most mature manner possible—by focusing on the opportunity to redefine and to come together in a new way. But Canada is not the only country being challenged in this way, and it seems like the trend towards regulation is working differently in different countries. Read through the magazine to get a better understanding of what is going on and how we can adjust. And if you are interested in reading the blog post I wrote when I first heard about this a few months ago, the link is here. We’re all in this together! Rochelle McFarlane: I am happy to share that 42 people were introduced to the wonderful world of Touch for Health in the Central Okanagan area. I worked with a fellow practitioner, Kate Young & 2 of my students, Kasia Rachfall & Zane McFarlane to set up 3 demo days at a local health food store, it was fun to work with customers as well as the staff. I love seeing that state of awe and wonder when someone new experiences a balance for the first time. We kept it simple with mini 10 minute balances, mostly just zip ups, switch ons, clearing central and governing with meridian running. The best part was watching my son 16 year old Zane share what he knows, I feel giddy to think about what the future holds for him not to mention the reactions from the adults he was working with. Since this week felt like a huge celebration of this field, I decided to do a draw and give away a level one tuition as a way to connect with that inner excitement. I am happy to report, a mother won it! She’s excited to learn more about how to help herself with creating more emotional balance within herself and her family life. Overall this was a great start in the right direction and I am already thinking about how to build upon these successes for next year. The KF UK had a stand at the Mindful Living Show at the Business Design Centre, London on March 15th & 16th. Kate North, Binita Sama-Zakaria, Helen Griffiths, Sandra Cohen, Suzanne Lane & Rachel Lead enjoyed spending time talking to the public, linking up with other stall holders and generally spreading the word of what Kinesiology is and how it helps...With many thanks to Kate who worked so hard to make this event happen… Rachel gave a presentation in the Health & Science Theatre on Saturday 16th about Mindful Integration of Your Own 'Touch Heart Focus' through Movement. The talk explained how the applications of TFH/Kinesiology help the mind/body to shift from the 'midline brain stress centre' which may help the adverse reactions of 'distress' which may have been triggered. The body is then able to return to a state of 'being in the present'. The talk was linked to simple TFH exercises and the Five Elements, and advertised the KF stand where people could come and ask about future TFH/ Kinesiology training. Alexis: We hosted a free ‘K for Kids’ class in our little village in Costa Rica. For some, this was their first experience with muscle testing. It’s always fun watching them figure out that they can do things to help themselves feel better! In Serbia... Lisa Peters: I’m based in Serbia...and as I would be traveling for International SK Week, I celebrated it for one month with my clients. For the month all the balances were free. They just needed to drop money in a donation jar, or donate dog food, to one of my clients who feeds 200 stray dogs of Belgrade. The response was enormousand also wonderful for kinesiology because I got new clients who came to experience a session knowing that all they needed to do was bring some food for dogs. So I saw people who normally wouldn’t be able to afford to come. It was wonderful for me too—the chance to introduce them to kinesiology. dropped and then changed, but it was not possible, so over the years he has transitioned himself into terminology that is “Natural BioEnergetics”. He has now completed rebranding with special titles for different aspects of his programs. In December of 2018 the Canadian Association of Specialized Kinesiology and Ontario SK Practitioners received cease and desist letters. It was a long time coming, and we were not prepared. We thought we were safe with our titles, and with our connection to the “Kinesiology” world of Touch for Health and beyond that exists Internationally. We were wrong. Over the last two months I have been a board member with CanASK who thought we could just remove “Kinesiology” from our title and use our acronym, and I thought we would be able to just drop Kinesiology off our certificates with ease. The ‘K’ Controversy How wrong were we. We were so deeply embedded in the International Kinesiology scene that it was impossible to just drop a little word off our title. And, it is not only Ontario members who are threatened by this law; there are proposals for new laws happening in other provinces also. This was not an Ontario issue, this was a Canada wide issue. We needed to act on a much bigger scale. the system or take energy away? Is the challenge structural, chemical, nutritional, mental, emotional or spiritual? Using a checklist of potential tools to assist with a balance or a session, a muscle test can identify the tool that will be most beneficial. This also needed to be identified and a title adopted. How do you describe SK or “Kinesiology” as used around the world? Akamai University identifies four main categories: Energy Kinesiology, Energy Medicine, Energy Psychology and Dynamic Energy for all the modalities that fall into Complementary and Alternative Medicine or CAM. We needed to identify if we were a consultant, a practitioner or a facilitator which may prove to be important as other legislation comes to light in coming years. Practitioner is not a recommended word with the Ontario Health Act. Since our model is self-empowerment it appears that “Facilitator” might be the complimentary word to support someone with their health and wellness. . This keeps us out of the diagnosis or treating model, as well as away from any form of psychotherapy-like action. We Facilitate what? We only had six recommendations for a replacement for “SK.” This is not a lot to work with. A very daunting task. And, so difficult to remain connected to the outside world using “K”. Lastly, do we identify that all of us in the association use “Muscle Testing” or whatever replacement word we choose? Or do we go broader and start to look at words that link wellness and vitality? Are we an association, a network, an alliance? Do we want to be known as “Canadian” in our title? For this we compiled 24 names. Now to bring the membership through their turmoil and fear into a place of gratitude and trust that we can do this, and it is done. Also, a daunting task. The ‘K’ Controversy Part 2 of Defining a Nation What have I learnt that is even more powerful than a nation redefining itself? The incredible power of our Muscle Monitoring Modalities. Muscle testing, or “Kinesiology” as Dr. George Goodheart labelled it back in the 60’s has been such a powerful tool to develop a self-empowering model of health care and self-care. Through CanASK’s turmoil I received the book: “Energy Kinesiology” by Charles Krebs and Tania O’Neill McGowan. I have been devouring the science behind “muscle monitoring” that they have decided to use as the term within “EK” going forward. It is a good term, but it is not completely accurate according to my studies and the way I use the muscle testing techniques, and this is where the research gets really interesting. non-action towards a goal or a balance. Lastly, feedback loops may be influenced by “hydration, electromagnetic polarity reversals (switching), deep-seated emotions, irrational beliefs and fears.” There are several other aspects that they discuss in this chapter, but something that rings in my ears is related to “intention”. From my Therapeutic Touch training, we use intention in very specific ways to produce a wholeness for the person, with an offer to their field. Our intention is to provide an experience that releases the field of blocks which have been holding the person back from flow and wellness. These intentions are often without words but may be pictures, color, sacred geometry or a sense. The less we look at words and more at the picture of the outcome our intention to provide the space for wellness or calm to be achieved is set. . Is there a “bias” as Krebs and McGowan offer? Yes, there is. And that bias is what is leading the energy field to respond in a successful way. I offer that perhaps intention is a great bias for finding energy and vitality. Using what I refer to as “BioEnergetic Monitoring” we can identify what tool the body is looking for to create an experience for change, as well as identify aspects of the situation that may be helpful for bringing forward the matrix of influence that the body/ mind/spirit have locked into the system. Does it matter if the information is factually correct? No. Reality is subjective, history is contextual and remembered through a personal lens which includes age, experience and emotional status. What else has happened as a result of the Legislation changes in Canada? We are really looking at what we do, how we deliver our services, how we reach the public, how we are seen by the public, how we can market ourselves better, and how we are connected to each other. Nothing like a fire to bring people closer together to stay warm. Provide an opportunity for dialogue. Create a link for our large country. This is a challenge before us, but it is also a shift of consciousness. I embrace this new pathway, and I look forward to seeing how the international community responds and opens to our new possibilities. Michelle Greenwell is a dancer, educator, researcher, author, Tai Chi enthusiast, and a Specialized Kinesiology nut! She is currently involved with Healthy Dancer Canada’s 10th Anniversary Conference by creating conversations between Specialized Kinesiology tools and dance protocols to change the way that dancers, educators, therapists and researchers begin to look at dance training and outcomes. CanASK is a gold sponsor of the Conference along with Atlantic Therapeutic Touch Network, and together they are sharing the weekend offering mini session to conference attendees and opening up conversations about SK. he Ontario Health Act was changed was in 2007 to create a College of Kinesiology which clearly defined the scope and practice of university trained Kinesiologists that work with muscle and joint movement. However it also designated the word “Kiniesiology” to that College. There were numerous public meetings and information meetings sponsored by the government to introduce and explain this. Jimmy Scott, PhD and other in the Specialized Kinesiology world attended the meetings and spoke against this restriction of the name. There was a letter writing campaign promoted by various groups who had work in Ontario, including Health Kinesiology, now called Natural Bioenergetics. There was an attempt to prevent or reverse the legislation but it was clear that there was no movement on the part of the government. Without a loud and widespread outcry, which most Specialized Kinesiology organizations were not prepared to do, the law would be enshrined. Many groups like CanASK at the time decided not to fight it publicly. The bill provided a 10 year transition time so that groups like Health Kinesiology and others that used the word kinesiology could make the changes needed before it came into effect at the end of 2017. As the Regulations were fleshed out between 2007-2013 and the bill became law, the changes and information and fine print that was provided by the government up through 2013 made it clear to Jimmy that no amount of arguing our case was going to have any effect. Although he hold the Registered Trademark for Health KinesiologyR, he was informed that the health law superseded the trademark law and his exclusive right to the term would not protect him from the Health Canada law and he could not continue to use Health Kinesiology as a name. The law was clear that the terms kinesiology, kinesiologist, and all varieties or acronyms based on the terms would be the exclusive property of COKO. grads. I doubt a non-profit self-care group of underground practitioners have the legal and government savvy to fight this and certainly lack the finances to fight this. I understand people’s emotional attachment to the name that they have used for years. It has taken me a long time and a lot of work to get everything switched to Natural Bioenergetics. Phone: (403) 250 1627 The terminology around how we describe and talk about what we do is a major shift. However, in actual fact, Kinesiology is Linda@easthousecentre.com not a good term for what we do. Even in the beginning it was Http://LindaEasthouse.com chosen in order to be like the medical system with the dream http://Easthousehealth.com (online store) of one day being included. However, over the years as the medical system has closed ranks, the drug companies influence in the medical system grows, and government regulation becomes tighter, it is clear that using a term claimed by the medical system is not useful. We need to find better ways to talk about what we do that capture the essence of what we do. We do not primarily work on joint and muscle movement so why do we want to insist on calling ourselves that? Re-branding is a big deal but in the long run I think it is a healthy process and needs to be done. o someone who has never seen a rose, felt its stem, leaf or petal or been jabbed by thorns, it’s not easy to explain the beauty of the rose... ... until they experienced its nostril tingling fragrance. KINESIOLOGY truly comes to life in the experience – words never truly do it justice – it’s an experience. My UK friend and colleague, Sandy Gannon put this picture in my mind on the final workshop day of me teaching Transforming DNA Memories “what we have just been through is more than a workshop, it’s an experience”. My mind raced back to my first Touch For Health Kinesiology workshop in the early 1980’s. I was an experienced health professional, coerced to attend, make even the workshop numbers. It was a favour. I didn’t want to be there, I didn’t want to offend – I was there for all the wrong reasons AND silly me did it all again in TFH 2 a couple of weeks later. The ‘K’ Controversy A week after TFH 2, I was amazed my neck that frequently went for Chiropractic adjustment, was not burning with pain anymore. I humbly asked the TFH instructor if I could start over again and learn attentively rather than just “make up the class to an even number’. It’s the experience that makes the difference. I became a Touch For Health radio celebrity, with occasional national TV appearances – when I expanded TFH to include more “K” techniques – that’s when I received “non-love-letters”. Fortunate, I had never used the chiropractors revered Applied Kinesiology. I knew the law of our State of West Australia – our State Government law has different acts to adhere to than our Federal Government law. It’s important to know your individual country specifics. Kinesiology is a generic word – it’s how it is used and what it is used with, that makes the difference. Have you ever wondered What Time of Day it is, Really?! Now with a quick glance you can see which Element is at its Peak, and which Meridian is the center of focus. The Time of Day Clock Dance with the Five Elements With a pilot project in June of this year, a selection of dancers and parents participated in a 4 week program centered around the music used to create the art pieces, movements that integrated the 42 muscles, 14 meridians and 5 elements, as well as bringing the paintings onto the dance floor in different combinations. Our results were astounding. By placing different paintings in the center of the floor and choosing movement patterns that felt right for the music, each painting created a different dance as well as a different way of hearing the music. Yes, you read right – even listening to the music with different colors present changed the way we were listening. Our movements responded to this process and the dance moves completely changed as well. More interesting was what happened when we combined several elements together. For example, when we danced to the Metal Element using a musical selection called “Follow the Sun” by Xavier Rudd, the dancers picked out the hard beats in the music and moved in a robotic fashion. We talked about the elements and wondered what would happen if we added the Fire Element next to the Metal Element with the same music. The dancers tuned in to the softer melody of the music and began to dance in a more lyrical way. All of this was of their own interpretation, but everyone reacted the same way. It was amazing. An eight year old in the group described the first experience as hard and cold, and felt that when the red painting was added that everything seemed to soften by being together. This was her expression of the experience with no knowledge of the Elements or what they mean. She didn’t know that Fire could melt Metal, but she could feel it! The Time of Day clock created by Emily has taken a portion of the paintings from each Element and combined it into the 24 hour clock. The Elements and the Meridians are identified by color and label. The intention of each painting is represented in each square so that anyone tuning into the clock can have a similar experience while focusing on the time of day. If you use the Time of Day balance from Touch for Health, it is with a quick glance that you can know which system you need to focus on for making changes to the system. In a classroom the Time of Day wheel is easily represented through the clock and builds a reminder of the order and the flow. This is great for Level 1 and 2 students in Touch for Health. ABSTRACT Introduction: Muscle Response Testing (MRT) is an assessment tool estimated to be used by over 1 million people worldwide, mainly in the field of alternative health care. During a test, a practitioner applies a force on a patient’s isometrically contracted muscle for the purpose of gaining more information about the patient which guides care. The practitioner notes the patient’s ability or inability to resist the force and interprets the outcome according to some predetermined criteria. While recent research supports its validity, little is known about its mechanism of action. Nevertheless, its causation is often attributed to an ideomotor effect, which can be defined as muscular activity, potentially nonconscious, and seemingly brought about by a third-party operator. Accordingly, the aim of this study is to investigate if the ideomotor effect is a plausible explanation of action for Muscle Response Testing (MRT). Methods: A retrospective, observational study of data extraction from a previously reported study of the diagnostic accuracy of MRT used to distinguish true from false statements. Additional analysis was carried out on the dataset of assessing for potential sources of bias – both practitioner bias and patient bias. Results: When Practitioners were blind they achieved a mean MRT accuracy of 65.9% (95% CI 62.3 - 69.5), and when they were not blind, 63.2% (95% CI 58.3 - 68.1). No significant difference was found between these scores (p= 0.37). When Practitioners were intermittently misled, the mean MRT accuracy decreased to 56.6% (95% CI 49.4 - 63.8), which proved to be significantly different from when the Practitioners were blind (p=0.02), yet not significantly different from then the Practitioners were not blind (p=0.11). In addition, no evidence of patient bias was uncovered. Summary: The results of this study demonstrate that when comparing blind and not blind conditions, the practitioner evokes no influence, so it is unlikely that the practitioner is responsible for an ideomotor effect. Likewise, the patient has been shown to produce no significant influence either, so it is also unlikely that the patient is responsible for an ideomotor effect. The limitations of this study are those of any retrospective, observational study in that data was not collected to answer the specific research question of this study. Future research should include a study specifically designed to answer this question, for example, intentionally attempting to induce bias in the practitioner. In summary, the ideomotor explanation of MRT should be regarded as obsolete until such a time as a more plausible explanation of its mechanism of action is established. to see for themselves, to feel for themselves, to think for themselves and to understand for themselves Rather than me just telling them through muscle testing. I found that by creating a space for them to have this experience allowed them to be more present in the session, take responsibility and bring a greater awareness into what was going on for them. My clients became an active participant in the sessions and in their own healing. This is a key component for my clients to be able to heal themselves and return themselves to love. The â&#x20AC;&#x2DC;Kâ&#x20AC;&#x2122; Controversy they can no longer hide from. The 5 Principles of Meditation. In the traditional style of Kinesiology, the Kinesiologist holds all the answers through muscle testing. This is powerful in itself, as the accuracy of muscle testing is a skill and gives the client an understanding of what is happening within their bodies. Unfortunately, in this model clients do not take on selfresponsibility for what is happening in their own life. They are looking for someone or something outside of themselves to fix them. This model can only work so much, as with anything in life until you take on the responsibility of it, the changes will not last. These 5 principles give you the framework and structure to a successful Intuitive Meditation. By combining Intuitive Meditation into Kinesiology, we are accessing the best of both worlds, traditional and intuitive. We are able to guide and teach the client how to understand for themselves what is happening within their own bodies, which will empower them to maintain the corrections. 1) INTENTION Setting the intention of what you want to achieve is essential. The intention sets the tone and overall purpose of the Meditation. During our Kinesiology balances we use Meditation with purpose and not just for relaxation or to feel good in that moment. Therefore it is essential that we, as the practitioner, understand what the intention is and also to convey this to our client so they can be involved in the process and take ownership of what is happening. What the purpose of the Meditation is for your client? The ‘K’ Controversy Is this pain relief, stress management, access to their inner knowing / intuition etc. Often this intention is the same or similar to the original goal for the Kinesiology session.. 2) BREATH The breath takes us within our bodies and away from the superficial world around us. It grounds us into our inner world. Focusing on our breath is a powerful tool, and can be used just by itself, but here in our Meditation we use to bring the client’s awareness out of their logical / analytical Left Brain thinking and into their body. In this space the client begins to let go of their thinking and starts to focus on their feelings. The breath here is usually deep breathing, but you can also use many different breathing techniques, ie: counting breath, holding breath, breath visualization etc. The specific breathing technique to use here can be simply tested up using Muscle Testing. Throughout the whole Meditation it is important that the client maintains a slightly comfortable extended breath. This will signal to their bodies that they are safe within this process. 3) HEART SPACE CONNECTION Here we connect to our Heart Space, this is the connection point to our higher consciousness and inner knowing. By bringing in this connection we are aligning ourselves to our highest good and raising our vibration. We can do this in many ways; primarily it is done by bringing your attention to the heart space with thought or touch and then igniting feelings of joy, gratitude and love here in this space. The option of bringing in a colour or heart chakra connection is also available here. The previous 3 steps have set us up for success here, our client is aligned and here we take our client on a journey (through meditation) to bring in their own visual awareness of what is happening. This intuition will drop into their conscious thought as a thought, word, image, sound, person, song, book, sensation on the body etc. There is no right or wrong here, everything is perfect in our intuition. 5) GROUNDING / CENTERING This is an important step to ground the client back into reality and in the now. This is done through breath, gentle movement to the body and looking around the room. Often a glass of water is very helpful here. Please note here that a key component of any type of meditation is to create a space after for integration and allowing the experience to settle. Here I would suggest that you spend a few minutes with you client asking them how they felt, what they saw, what they heard and to talk about the meditation. It is important to do this step as it will help the client to integrate what occurred and to understand the connection to their intuition here. When the client is at home practicing these meditations, I would suggest that you ask your client to journal what comes up for them during the meditation. This will give them the opportunity to express what occurred and to understand the experience. 4) INNER GUIDANCE / INTUITION Our inner guidance and intuition is the key to all answers and complete healing. You invite her to sit down and you place your arm around her With no judgement or expectation You notice what age she is, what does she look like, what is she wearing, what is her demeanour She is here today because she has a message for you One filled with wisdom and strength Listen now as she brings you this message With no judgement, just allow the words to come You may have some questions about the information she is sharing with you, ask her now You have all the information now You thank her for bringing this wisdom to you today You embrace one another, as you embrace you become one She integrates back into your body for she is a part of you and always has been Allow this integration to happen Now that you are one together, take in 3 deep breaths Breathing in through your nose and out through your mouth Bringing your awareness back to your body in this room Moving your fingers and your toes Opening your eyes when you are ready Look around the room and connect yourself back into this space. and sport trainers and the “official” academic institutions have been using it to describe a part of their work. In 1964, after discovering the Muscle Response Testing (or MRT) (REF: BMC Complement Altern Med. 2016 Nov 30;16(1):492. “Estimating the accuracy of muscle response testing: two randomised-order blinded studies.” Jensen AM, Stevens RJ, Burls AJ), George J. Goodheart, used the term ´Applied Kinesiology´ to describe the new technique. Since then almost all of us have referred to Muscle Response Testing using the word “Kinesiology” (REF: Knowlative, #vocabulary: Kinesiology). But are we really practicing “kinesiology”? … not according to the dictionary! The ‘K’ Controversy The majority of us are not even considering human movement, mechanics or anatomy in our practice. We work with concepts like emotions, ideas, food, biochemistry, hormones, acupuncture points, meridians, chakras, as well as and joints, muscles, movement. We definitely are NOT simply doing “kinesiology” in its original definition; we have been using this name wrongly, without even realizing that we made this mistake until we are forced to examine what we say by external causes. And, by the way, adding another word before “kinesiology” (Applied or Specialized) does not change its meaning. This is the tool that is common to all “Kinesiologies” and what actually characterizes what we do, and this can probably “name” us. The Vocabulary section of Knowlative was the first part we developed within our platform, and will soon be free for everyone to access. This is because we strongly believe that using a common vocabulary to describe what we do will bring more unity and dialogue within our “tribe”. Muscle Response Testing (MRT) is one of the more cited definitions there and, maybe, using it as our flag we will be more easily recognized by people. I personally do not believe that we should go on clinging to this mistake only because we spent a lot of time making it, even if our national law allows us, for the moment, to use this term. ‘Kinesiology’ – the profession – is an open issue, too. Is it a stand-alone profession? Or is it a skill that enriches a profession? I believe that probably it is both. Some of us already had a “healthcare related” background when we approached Kinesiology. I was almost a specialized orthopaedics and trauma surgeon when I started using the MRT in my practice and now it is the main tool I am using to help people. Others continue to use it as one among many other tools in their practice. Others come from different areas and gradually begin building a whole profession around ‘Kinesiology’. We should not cling to this term to honour the memory of George Goodheart, either. I did not have the privilege to meet him and I am forever grateful that his Genius described the Muscle Response Test. But he was a chiropractor, thus he “studied the principles of mechanics and anatomy in relation to human movement”; a “kinesiologist”. From the simple muscle test and correction with reflexes that he practiced at the beginning when he chose the name, in 55 years of his practice and that of many other brilliant minds all over the World, things have profoundly changed and new applications of the Muscle Response Testing are described every day (REF: Knowlative, #vocabulary: Muscle Response Testing). Many different schools and associations of Applied Kinesiology and Specialized Kinesiology use the word Kinesiology (or part of the word) in their name, while some of them decided to not use it. The panorama is quite complex and differentiated also regarding their protocols, but every one of us use the Muscle Response Testing as the core technique of our work. hile looking for more emotional stress reflex (ESR) points, a pioneer of Applied Kinesiology, Michael Lebowitz D.C. reasoned that they must exist for all the meridians that begin or end on the head. These are the Yang meridians. He researched and found very effective points for all six of the bilateral Yang meridians. The points he found are located mostly upon the trunk of the body. He named them “emotional circuit breakers”. These differ from the previously known ESR points in that ESR points are only gently held. These “neuro-emotional reflex” points require very firm and deep stimulation to be effective. So, although they have a similar usefulness in releasing blocked emotional energy, the deep stimulation required indicates that they are of a different nature than ESR points. The ‘K’ Controversy After you determine the type of calcium that reduces pain the most, add magnesium and vitamin D to that calcium and check that the indicator remains normotonic. If these two additions don’t affect the hypertonic muscle, advise the patient to take them together. Since calcium and magnesium are synergetic and the utilization of both is increased by vitamin D, prescribing all of these “en bloc” is recommended. If the addition of magnesium makes the indicator muscle either hypotonic or hypertonic, try another until you find one that tests normotonic. Magnesium citrate often tests well. The principle here is: First find the nutrient (or other remedy) that makes the indicator muscle normotonic. Then add other nutrients/ingredients that your medical knowledge suggests and test again. If all of them together still test normotonic, prescribe them all. Concerning this technique, Dr. Lebowitz says, “It more ups your capacity to handle stuff than gets you over stuff.” According to Dr. Lebowitz, stimulation of these points results in a calmer disposition, improvement in chronic visceral conditions and an increased ability to handle stress. Dr. Lebowitz was delighted to learn that his old technique from the 80s has been extended and updated. Dr. Dewe found them to strengthen weaktesting muscles, improve muscle tone, help to relieve stress and increase energy levels. Dr. Frost’s Technique for Neuro-Emotional Points Dr. Frost suggests that these neuro-emotional points may be used much like neurolymphatic or neurovascular points to strengthen weak-testing muscles. As with other reflex points, it is easy to determine if neuro-emotional reflex points would be useful. Evaluation: 1. Locate a muscle that tests weak. Any other weakness, such as one produced by TL, can be similarly utilized as the beginning point for this method. 2. While the patient places one hand on the frontal eminences (forehead), retest the muscle. 3. If it now tests strong, emotional corrections can correct the muscle weakness. 4. Touch the neuro-emotional reflex point of the meridian that is correlated with the weak-testing muscle or factor tested by TL. 5. Retest the muscle (with TL if that was used in 1 above) while touching the corresponding neuroemotional reflex point. 6. If it now tests strong (or eliminates the active TL), massage of the neuro-emotional reflex point is indicated. 7. Since these corrections do release blocked emotions, if you test related emotions, do so now and discuss the issue before the correction. Correction If you are experienced in dealing with emotional release, firmly massage the tested neuroemotional reflex point. If the patient complains, explain that these points often do hurt, that stimulating them helps to free blocked energy, and that it’s worth the pain. Remember to also test if oral calcium reduces the pain and advise as indicated. Confirm the correction Retest the previously weak-testing muscle. If it now tests strong, the correction is confirmed. If it still tests weak, locate other relevant correction procedures (NLs, NVs, testing the relevant emotion...) and perform the indicated correction(s). The ‘K’ Controversy Dr. Dewe’s Technique for Neuro-Emotional Points Dr. Dewe recommends massaging all the points for 30 seconds to two minutes each. Evaluation: 1. Access energy level on a scale of 1-10 (via muscle testing). Saturday, September 28 from 11-1 (Heart Time!) in your Timezone! This section is a work in progress! 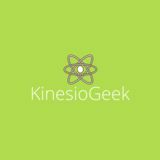 If you are a kinesiology association and would like to have your events (conferences, demo days, etc) mentioned, please email us. There are far too many classes internationally for us to list them all, but please send a link to the page on your website that shows upcoming classes and we will add it here. If you would like to advertise your conference, presentation or post-conference workshop, please contact us for details. Because health should be fun!